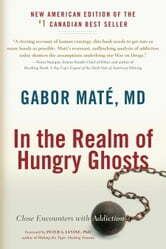 Based on Gabor Maté’s two decades of experience as a medical doctor and his groundbreaking work with the severely addicted on Vancouver’s skid row, In the Realm of Hungry Ghosts radically reenvisions this much misunderstood field by taking a holistic approach. Dr. Maté presents addiction not as a discrete phenomenon confined to an unfortunate or weak-willed few, but as a continuum that runs throughout (and perhaps underpins) our society; not a medical "condition" distinct from the lives it affects, rather the result of a complex interplay among personal history, emotional, and neurological development, brain chemistry, and the drugs (and behaviors) of addiction. Simplifying a wide array of brain and addiction research findings from around the globe, the book avoids glib self-help remedies, instead promoting a thorough and compassionate self-understanding as the first key to healing and wellness. 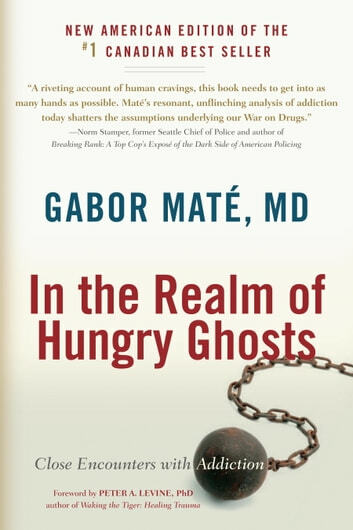 In the Realm of Hungry Ghosts argues persuasively against contemporary health, social, and criminal justice policies toward addiction and those impacted by it. The mix of personal stories—including the author’s candid discussion of his own "high-status" addictive tendencies—and science with positive solutions makes the book equally useful for lay readers and professionals.